Tanzania Safaris- where do I start? Confession time: Tanzania was where we first started out in Africa, so it’s difficult not to want to show it off. If we could, we’d take you hiking the summit of Kilimanjaro for sunrise, and on safari to the hidden corners of the Serengeti for sundowners. We’d take you for a peek down into the Ngorongoro Crater, and for a gentle wander round the crumbling alleyways of Zanzibar’s Stone Town. Afterwards, we’d try to tempt you with a few of the secret spots that we’ve stumbled upon over the years. We’d like to see your face as you slide from your dhow to snorkel with whale sharks, when you hear the distant hoot of chimpanzees in the tropical forest, and when you first flop into bed in your luxury tree house. Northern Tanzania is home to the legendary Maasai community and is where the country’s superstar game reserves lie. Here you’ll find the vast, spreading plains of the Serengeti, home of the legendary Great Migration, and the Ngorongoro Crater, where you’ll find all of the Big Five roaming. Alongside these are the waters of Lake Manyara, teeming with hippos and birds, and Tarangire National Park, a glorious dry-season reserve, where elephants gather in their hundreds. While you’re in Northern Tanzania, our Kilimanjaro Climbs are some of the very finest available, with wonderful guides, a strong commitment to responsible tourism, and have some of the most comfortable tents on the mountain. 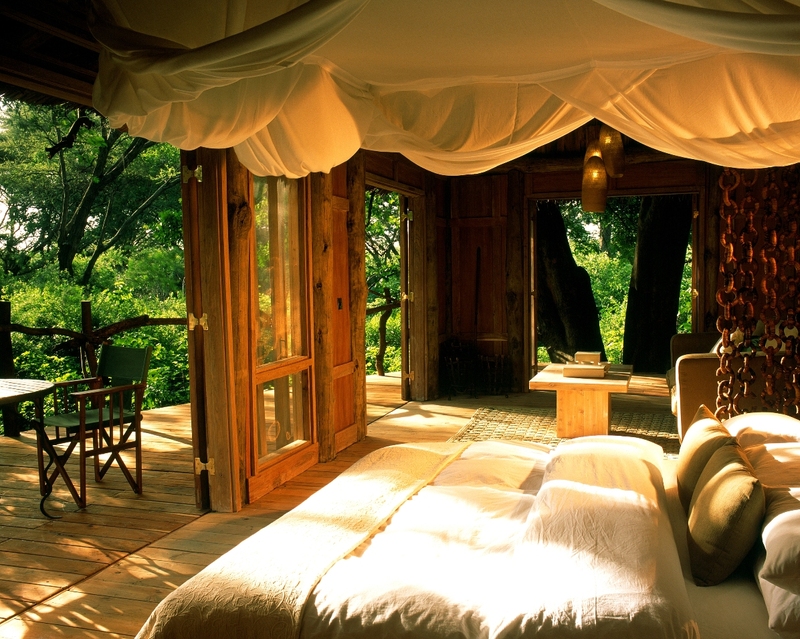 The wild, unspoilt game reserves of Southern Tanzania are some of our very favourite on the continent. Those who have been to Zambia will recognise something familiar here: miles and miles of unfettered wilderness. The walking and boating safaris of the Selous are truly magical, especially when you’re lucky enough to catch a family of ellies crossing the river at sunset. Even more remote, the Ruaha is Tanzania’s wild west, and it’s rare to spend more than a day or two here without returning with a hair-raising tale of adventure. Remote western Tanzania is visited by just a handful of visitors each year, mainly lured by the chimpanzee trekking in the Mahale mountains. As we’ve been lucky enough to visit ourselves, we’d argue that the ravishing beauty of Lake Tanganyika is reason alone to fly out here. And that’s before we’ve even got to Katavi National Park, where almost every pool seems to bubble with hippos, and lions lurk amongst the long grasses. One of the great attractions of Tanzania is the chance to combine a heart-stoppingly exciting safari, with relaxation beside the Indian Ocean. Zanzibar’s the original spice island, and even today, if you venture beyond the white sugar sand beaches, you’ll discover densely packed spice plantations. Further north lies richly atmospheric Pemba, and to the south, charmingly laid back Mafia Island. Cross the Zanzibar strait to Tanzania’s mainland, and you’ll find mile upon mile of untouched beach, with just a couple of wonderfully unspoilt beach lodges. 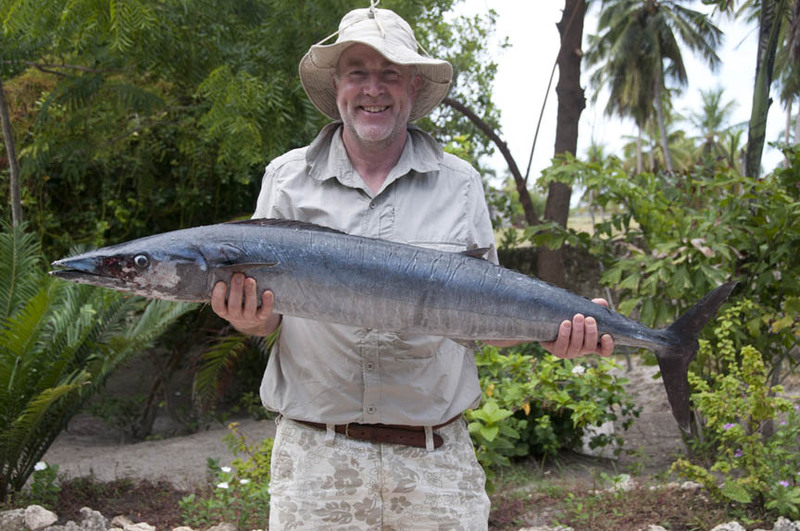 We enjoyed a sail in a dhow with guided snorkelling and Peter was thrilled to go fishing and catch 2 King Fish, the biggest one was approx 25 pounds which we enjoyed for supper, with plenty left over!